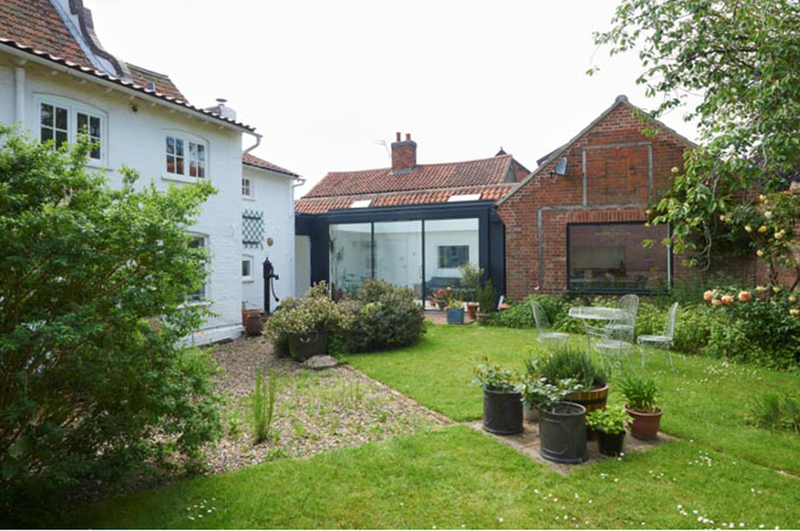 Single-storey additions and alterations to a Listed house in Hingham, Norfolk. 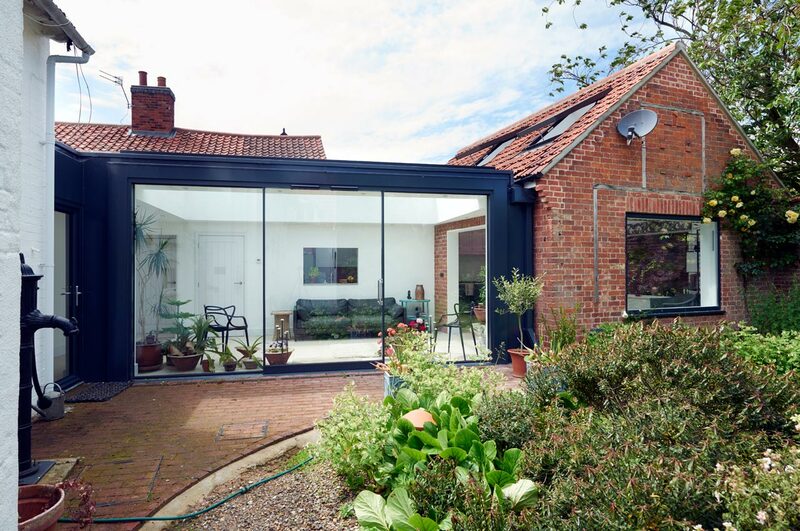 The project is centred around a contemporary, mostly glass vestibule which connects a range of remodelled existing outbuildings to the Clients’ main house. 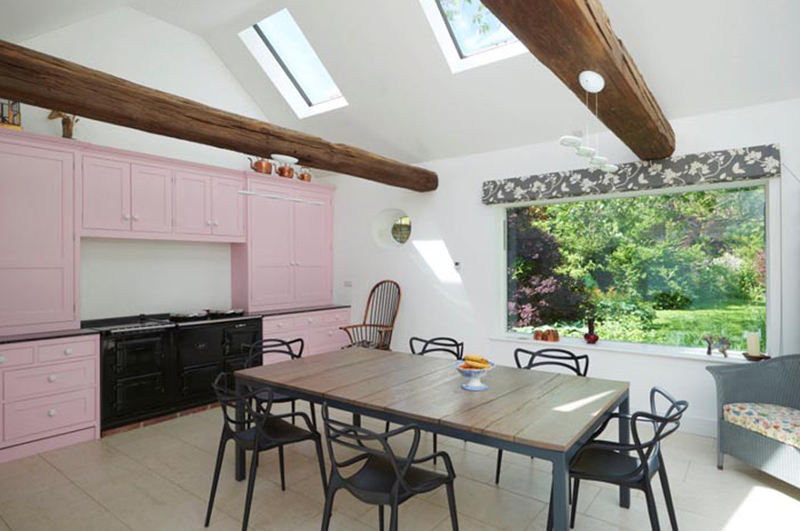 The largest of these buildings has become the kitchen, now open to its pitched roof, with new picture windows overlooking the gardens. At the street front the Oak-clad sectional door to the new garage has been carefully designed to not look like a typical garage door. 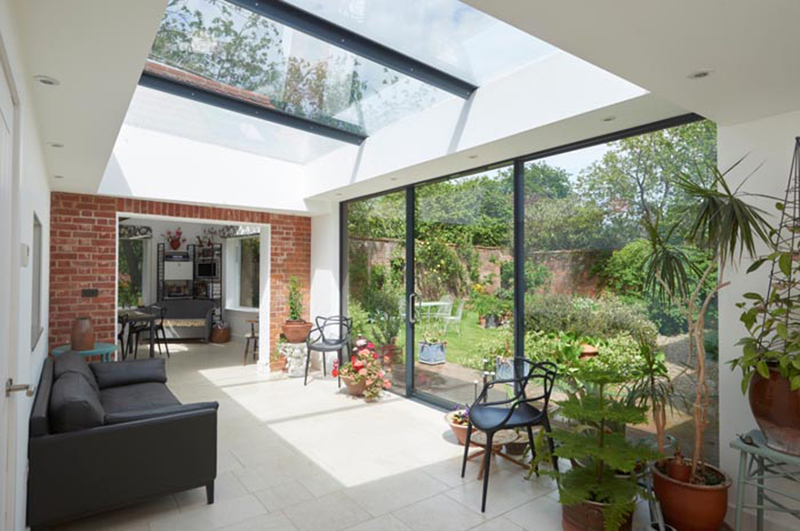 The project included choice materials and systems – Fineline glazing, The Rooflight Company and Glazing Vision roof windows. 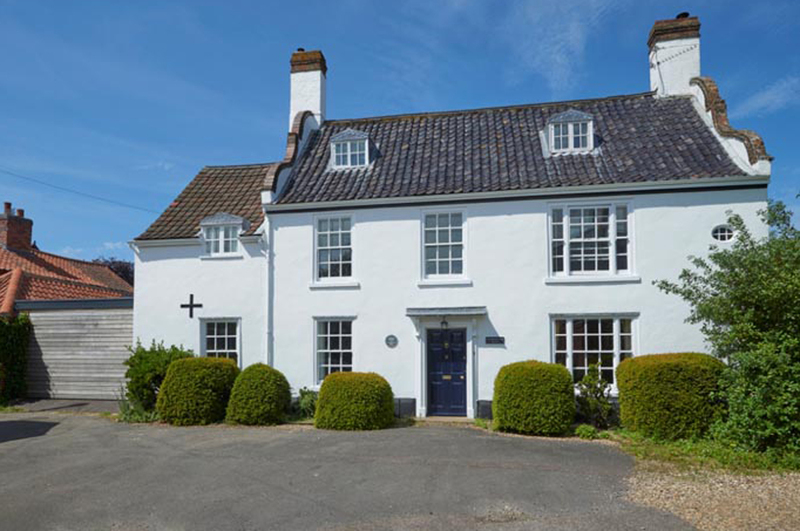 The degree of technical design is not evident in the simple finished appearance of the project.